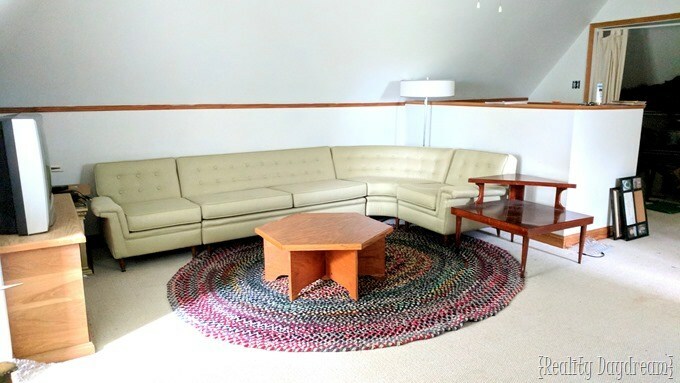 Our attic ‘family room’ space has been on the forefront of our minds lately, and we’ve been pouring over the different floor plan ideas that our friends at Modsy helped us with (our 20% coupon code is still good for another week! 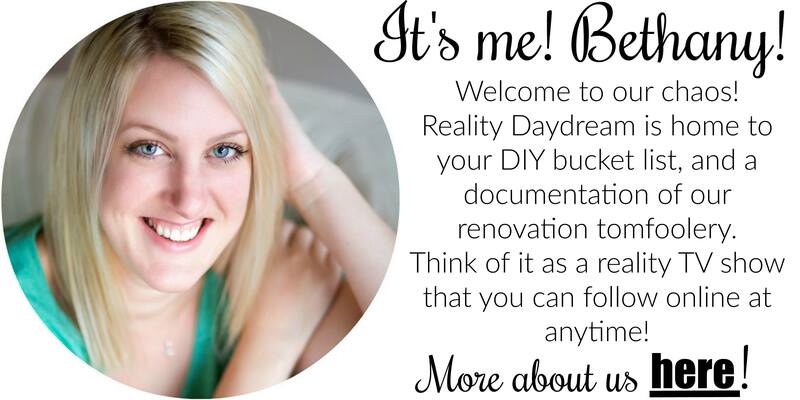 Enter REALITY20 at checkout). Nick and I have been making lists of things we want to DIY, as well as things we plan to buy for this space. See more pics of our attic space here. 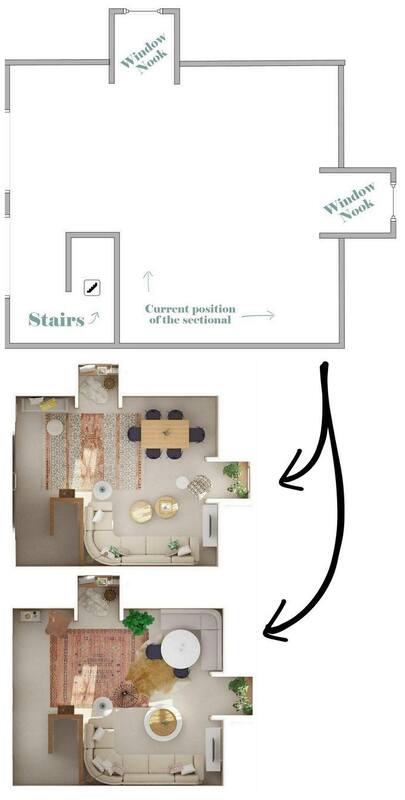 Here’s a reminder of some of the renderings we got from Modsy to help us visualize different ideas and uses for the space. 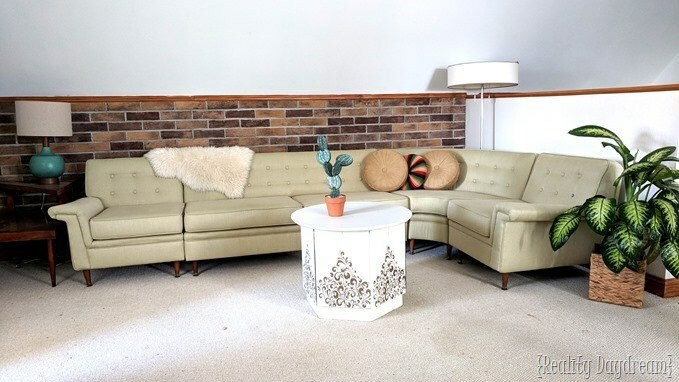 After seeing all the different angles and views, I knew for sure that we needed to add a little texture and color to break up all the white space on the walls. I mean, don’t get me wrong, I love all the white. But it just seems like we could use a but of a ‘feature wall’ below the chair rail on this wall. 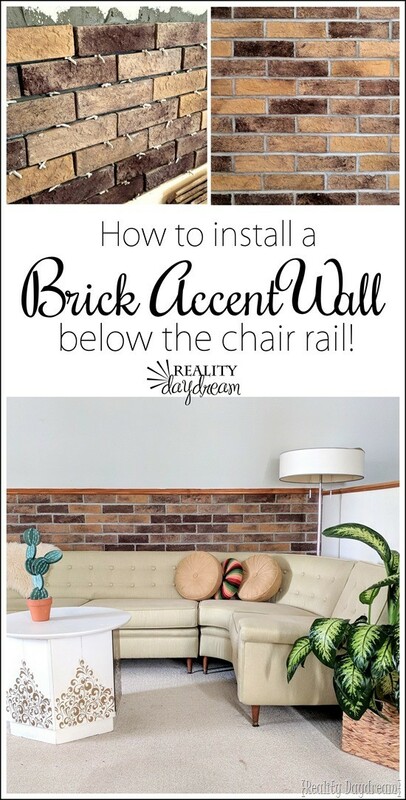 One afternoon, I was cruising some of my friends’ blogs, and I came across this amazing brick veneer accent wall and fell in love! Nick was a little nervous about the weight it would add to the attic, but after doing some research we discovered that it’s a brick ‘veneer’. 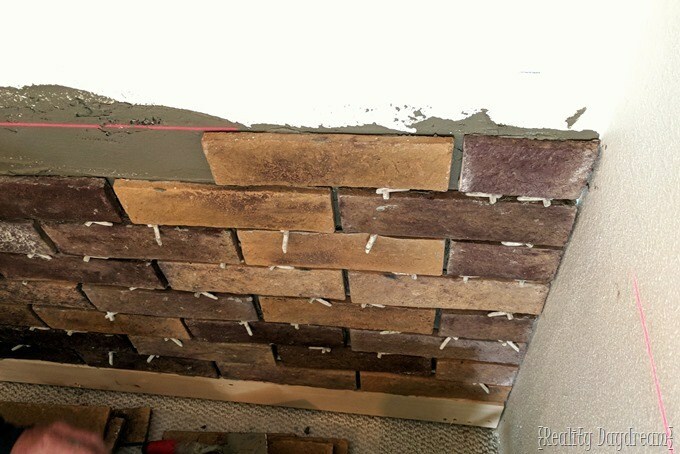 Some people hear the word ‘veneer’ and think that it means faux brick. But veneer just means THIN. 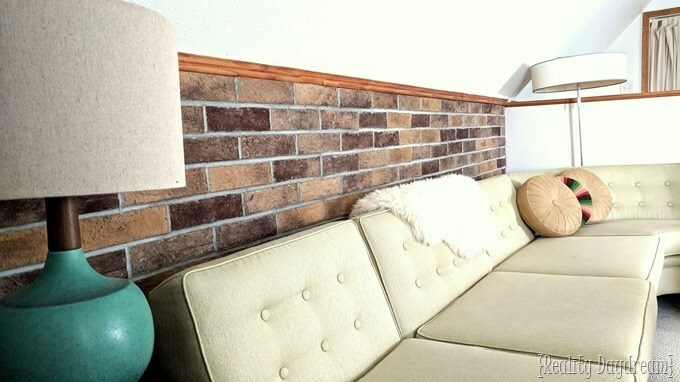 This brick veneer is still REAL BRICK… just thinner versions that are more cost effective and easier to install. 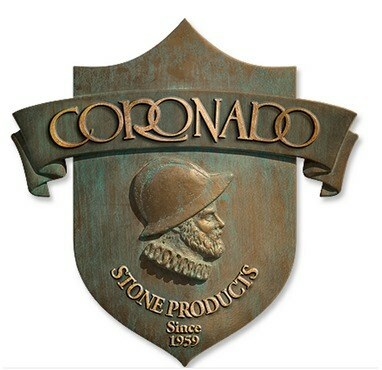 We reached out to this brand called Coronado Stone Products, and they agreed to partner with us on this project! WE.ARE.PUMPED! 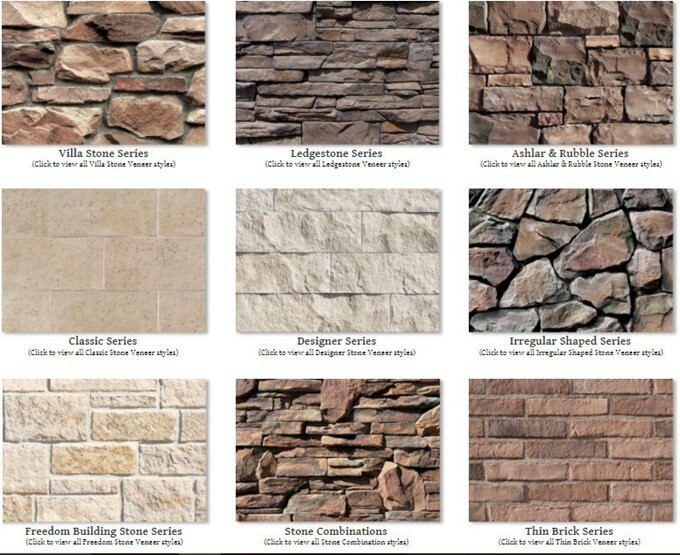 After stalking their website for an entire afternoon, I couldn’t believe how many different types of stone products they carry… and in so many different shades! 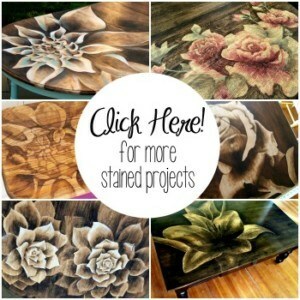 You can see them in action on their project gallery page, or scroll through their various stone products too! My mind was spinning with ideas! 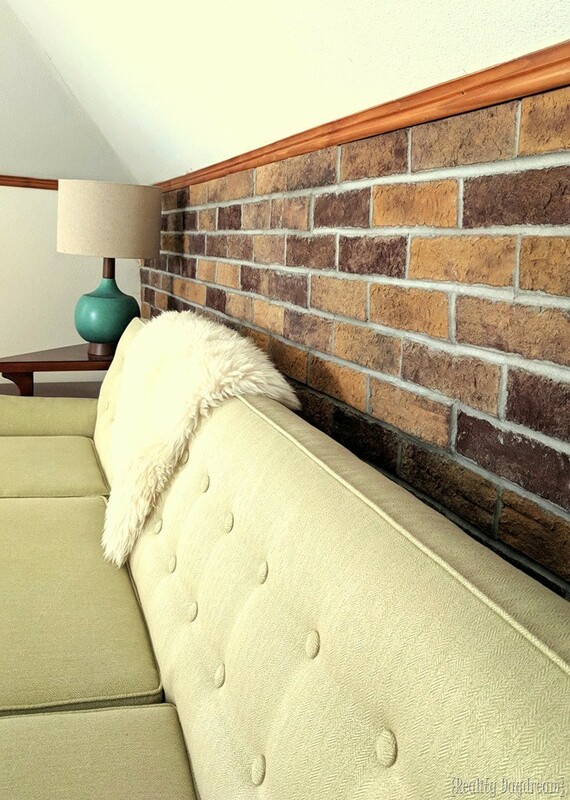 It was a tough decision, but we decided to go in the direction of more classical brick, with muted tones that feel more soft and modern rather than in-your-face red brick. 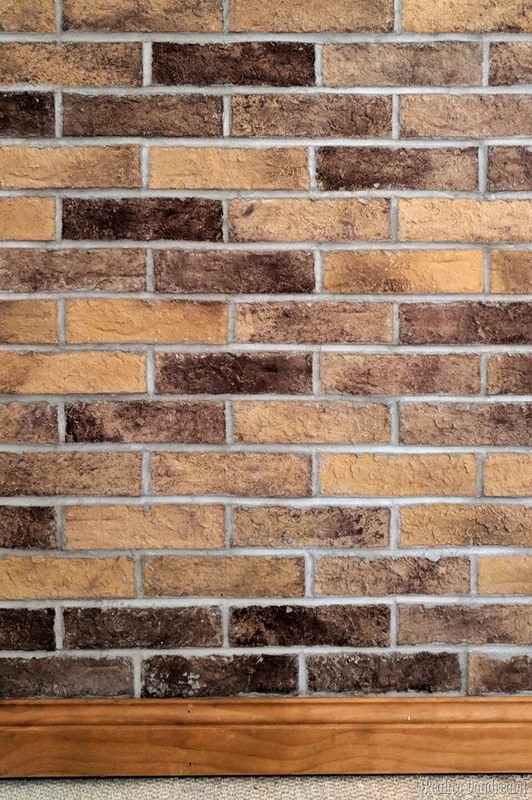 The one we chose is from the New England Brick Series is called ‘Charleston’ (close-up here). We measured our wall space, and determined that we have approximately 90 square feet of wall space to cover in the attic. So we ordered accordingly. 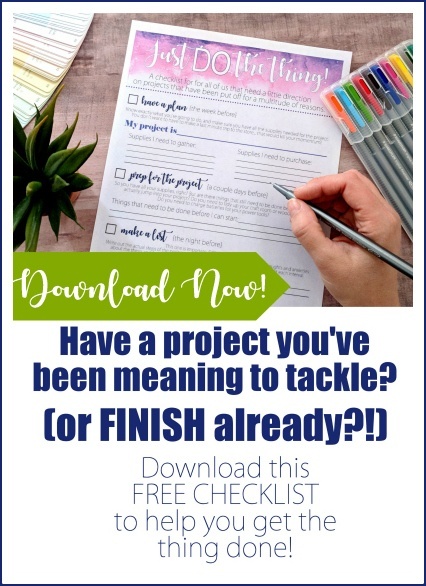 This is one of 6 needed for this space. 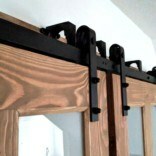 If you have thick/chunky molding, you could get away with leaving the trim in place if you really wanted. 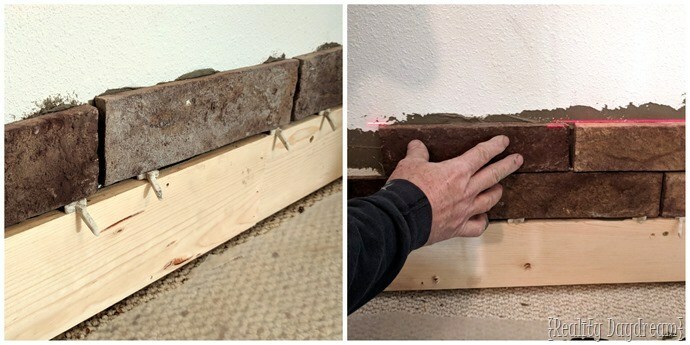 But our baseboards are thinner than even the brick veneer, so we decided to remove them and put a ‘spacer’ board in it’s place so that we can affix the trim board right onto it when we’re done bricking. Nick’s buddy Denny is a mason and came to help us out. 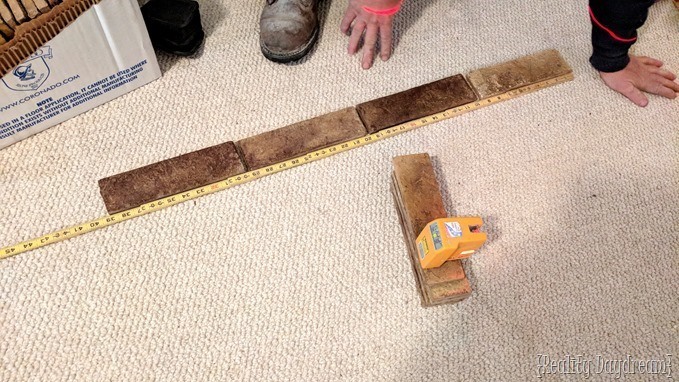 I took pictures while the menfolk laid out brick and did some measuring/figuring. Math makes me feel a little queasy. The brick went up pretty smoothly! 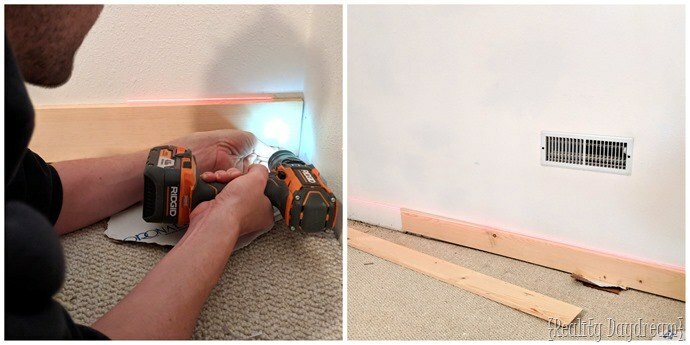 Our self-leveling laser was a huge asset, and would HIGHLY recommend investing in one for this job. 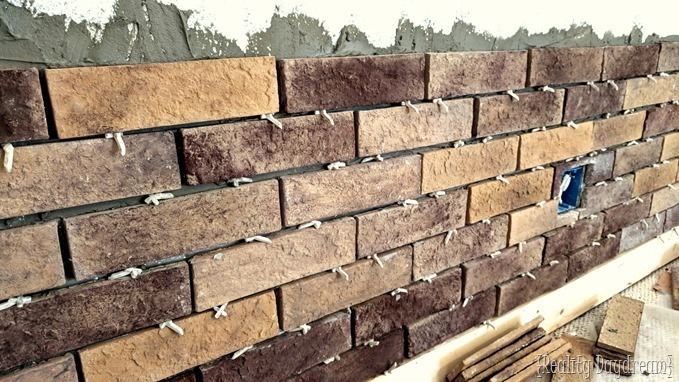 For the spacers, Denny brought his fancy legit masonry spacers (similar to these) that are made specifically for laying brick, but you could also just cut town wood scraps to a consistent size and use those too. The mortar/thinset we chose is this and we mixed it with one of these. It was so fun watching this come together before our eyes! 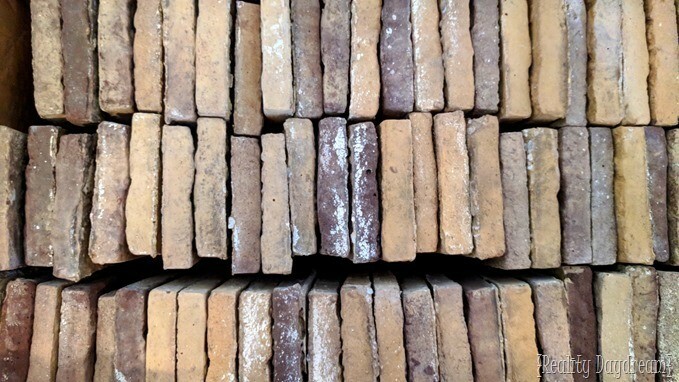 Part of the charm of brick walls is that they’re imperfect and have ‘character’, so don’t let yourself get too caught up in making things perfect. By the time we finished getting the bricks up, the rows that we had started on were quite dry enough for us to start in with the grouting! 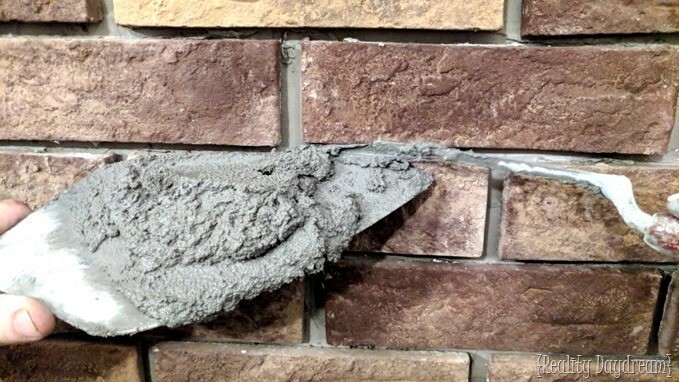 We used Type S Mason Mix grout and applied it with a trowel and one of these weird tools. We did this whole wall all the way over past the bump-out for the stairs. It turned out amazing! 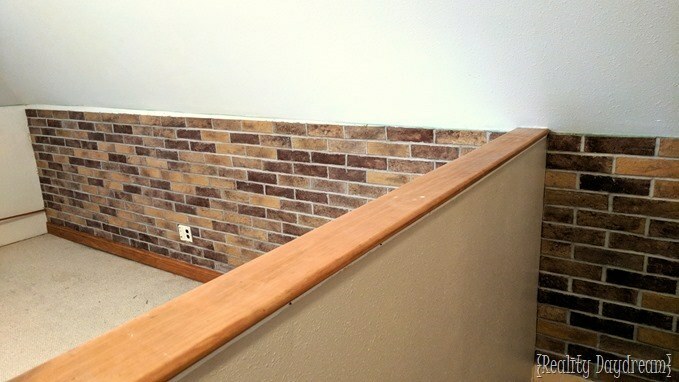 As you can see, we had an issue with the wall/floor not being level, and it left a larger space on one side where the brick doesn’t quite come all the way up to the chair rail angle, but we found a way to conceal that when we applied the trim back into place. There’s always a solution, even if it’s a sneaky one! I AM OBSESSED with how this turned out! Doesn’t it look like it’s always been there?! 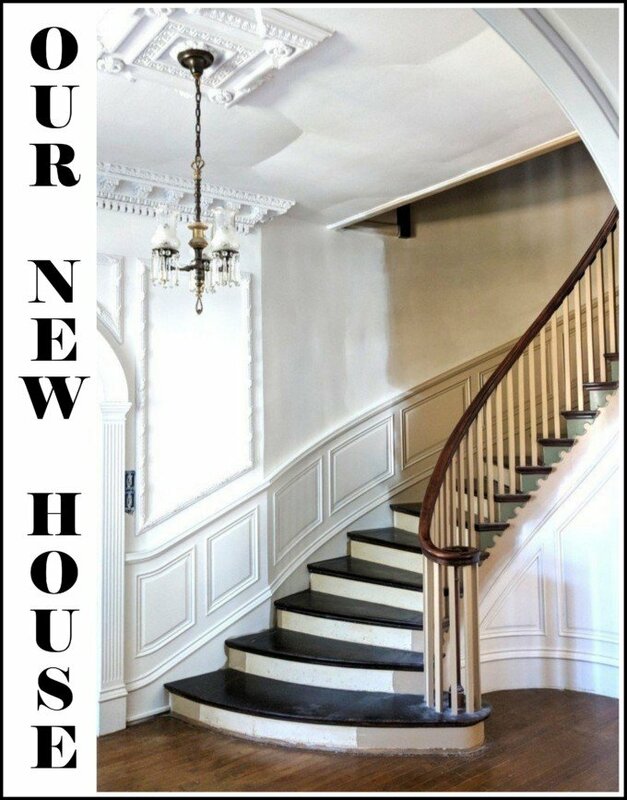 You can never have too much character in an old house! 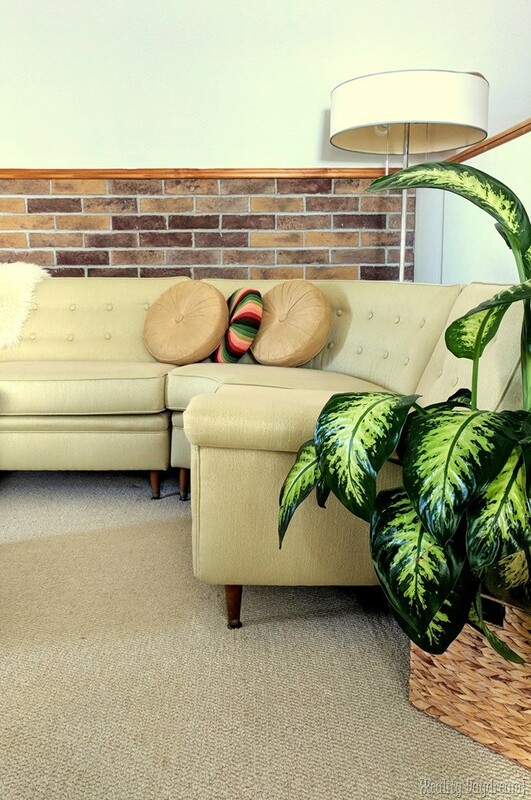 Obviously we still have a lot to do in this space, but adding this brick accent wall made a huge visual impact and has me even more excited about this space! 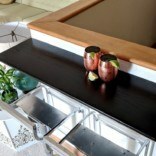 Next we’re going to be building some sliding barn doors to cover the closet openings, and I’m doing some casual online shopping for a table and chairs for our game table corner! I’ll keep you posted! We really want to do a small kitchen wall like this, but been afraid to.